I received the products featured in this post for free in the hope I would share information about them with you. Since I loved the products, I am. The opinions in this post are my own, based on my experience with the products with my family. Easter is such a wonderful family holiday. The weather is beautiful, the sacrifices we’ve made for Lent come to an end, and often, the school’s Spring Break lines up with the holiday to give us an opportunity to spend quality time with our families. My family, like most others, has Easter traditions that we look forward to every year (e.g. coloring eggs, leaving “You’ve Been Egged” baskets for our friends and neighbors, and searching for Easter eggs. I’m always looking out for new traditions we can adopt to make this special holiday even more fun and memorable. You can find several I’ve uncovered in past years in my post, Family Easter Traditions (I LOVE the magic jellybeans that blossom into lollipops). 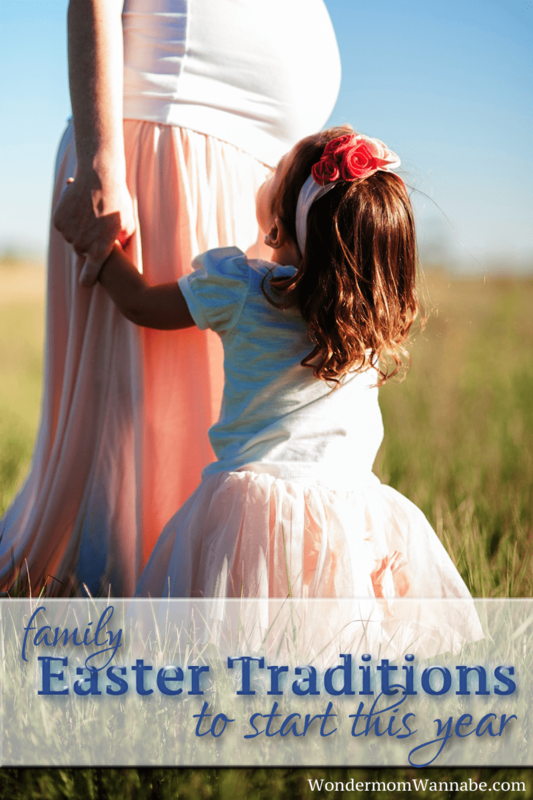 Here are some new family traditions for Easter that your family might enjoy too. 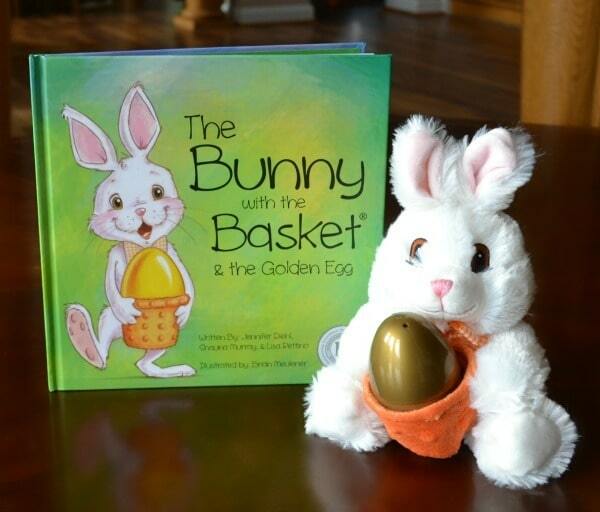 I first discovered the Bunny with the Basket at the International Toy Fair in New York, earlier this year. I loved the concept so much, I included the company in my post on Smart Products from Mompreneurs. I couldn’t wait to introduce this tradition to my family! As soon as it arrived, I unboxed it so we could get started. 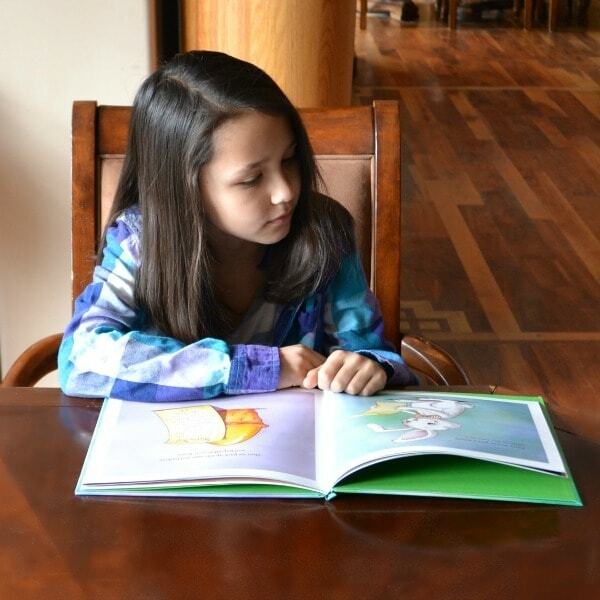 My daughter wanted to know all about this new family Easter tradition so she immediately sat down to read the story. She learned that the bunny with the basket is one of the Easter Bunny’s helpers. 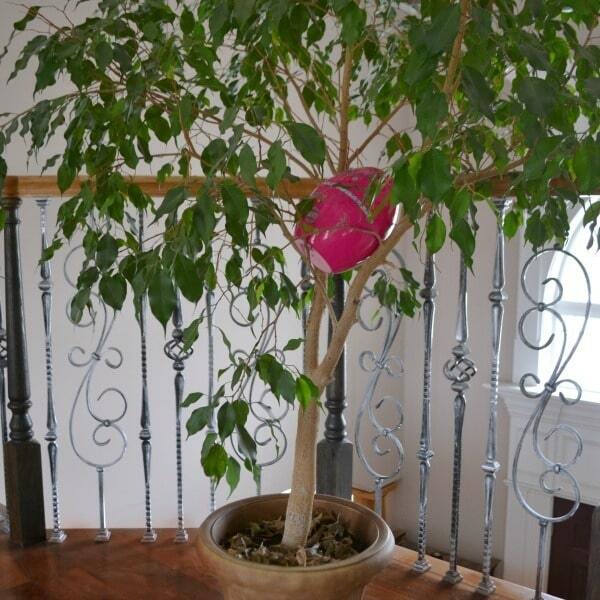 He (she named him “Fred”) had brought her a message from the Easter Bunny, hidden in a golden egg somewhere in our home. She had to find the egg to read the message, and then she could write back to the Easter Bunny (if she wanted) and Fred would deliver the message for her, returning the next day with another message from the Easter Bunny. 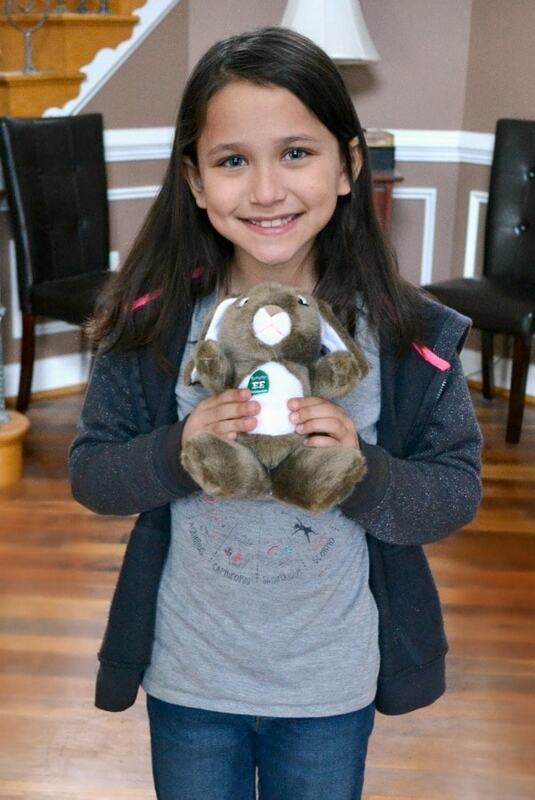 My daughter was so excited that she would get to exchange messages with the Easter Bunny! She immediately set off to find the egg. She found it (after MUCH searching) hiding on one of our bookshelves. 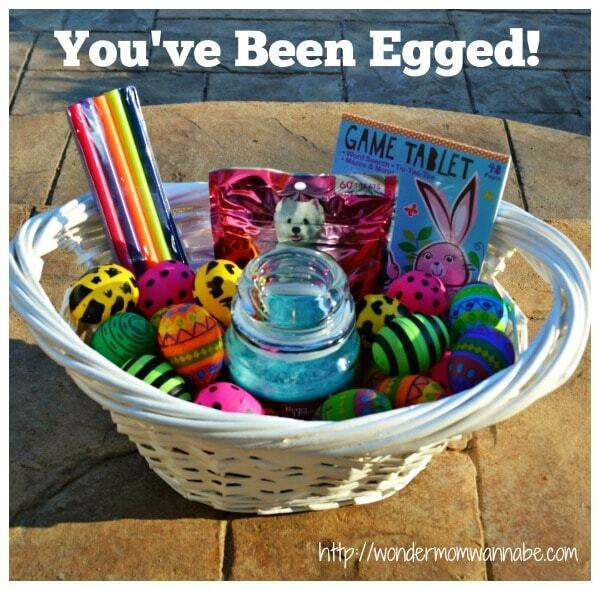 She opened up the egg, and sure enough, there was a message from the Easter Bunny inside. After she wrote back, she put the egg back in the basket for Fred to deliver. 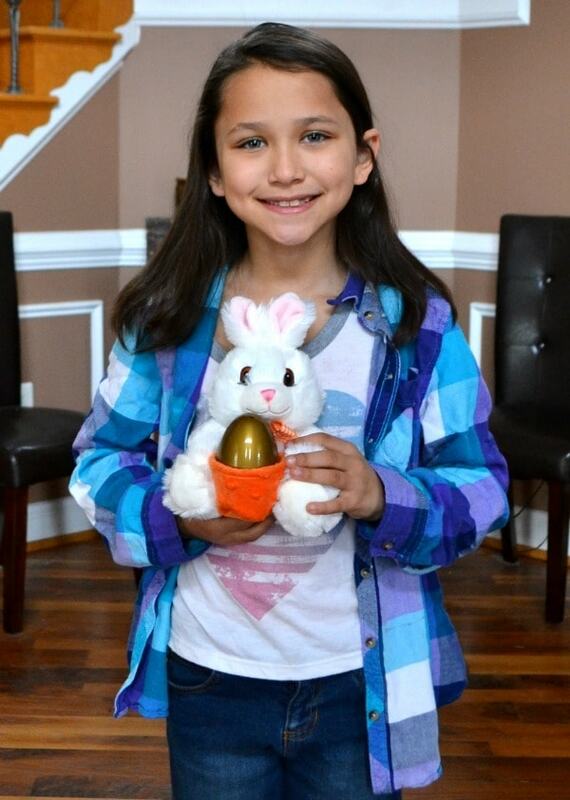 Fred will deliver her notes to the Easter Bunny each night and then bring one back in the egg, which will be hidden somewhere in the house for her to find. 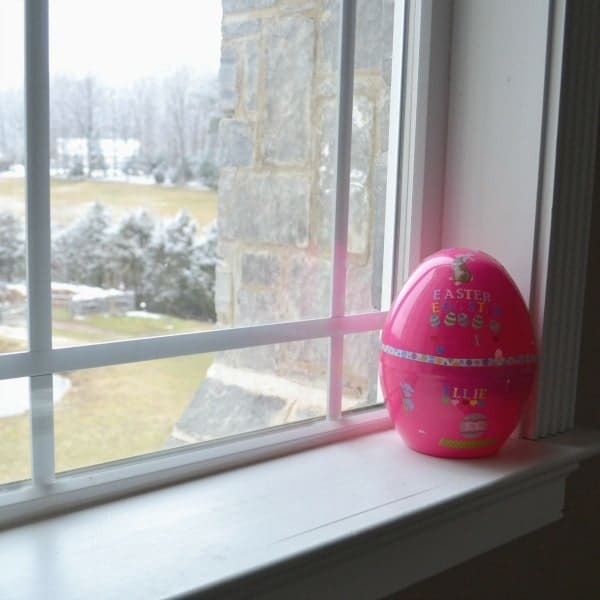 Because the egg is fairly small, it’s easy to hide just about anywhere.We had fun hiding it in unexpected places like in a drinking glass in the cabinet, in the toothpaste drawer in the bathroom (a good way to make sure your kids are brushing their teeth in the morning! ), and in the vegetable drawer in the fridge (another good way to encourage behaviors you want your child to have). Depending on your goals, the Easter Bunny messages can be anything from congratulating your child on doing his or her chores without reminders to encouraging your child to be kind or patient. The Bunny with the Basket is a great way to help guide your child towards, or reinforce, healthy habits and good behavior. 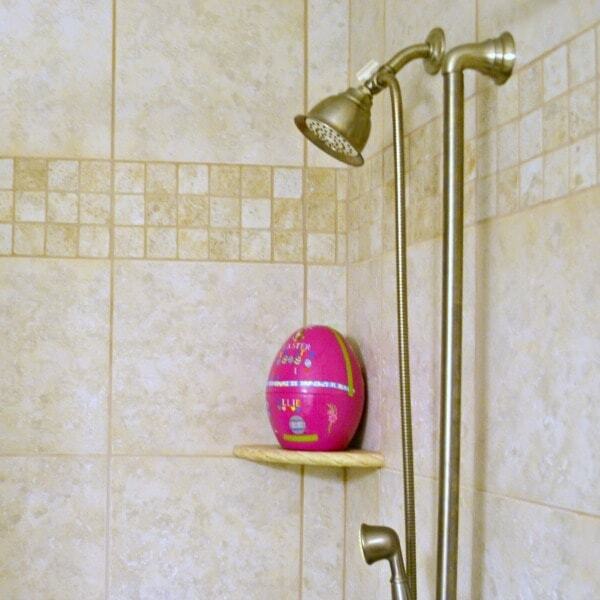 Just last week, I learned about another new family Easter tradition that’s described as “Elf on the Shelf for Easter” called Easter Eggsters. Easter Eggsters also come with a book and an Easter Bunny helper, but the tradition is slightly different from the Bunny with the Basket. 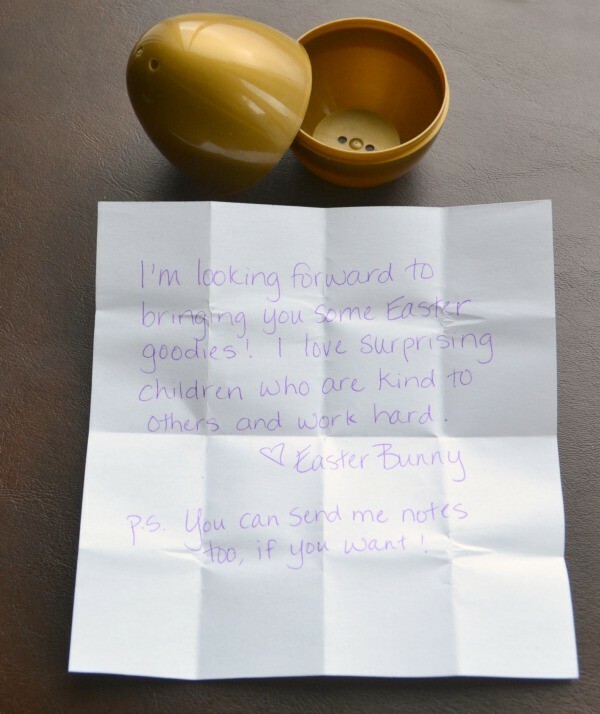 Instead of carrying messages back and forth to the Easter Bunny (EB), the Easter Eggster helper makes a “verbal” report in person to EB while the children are sleeping and then returns and hides somewhere in the house. 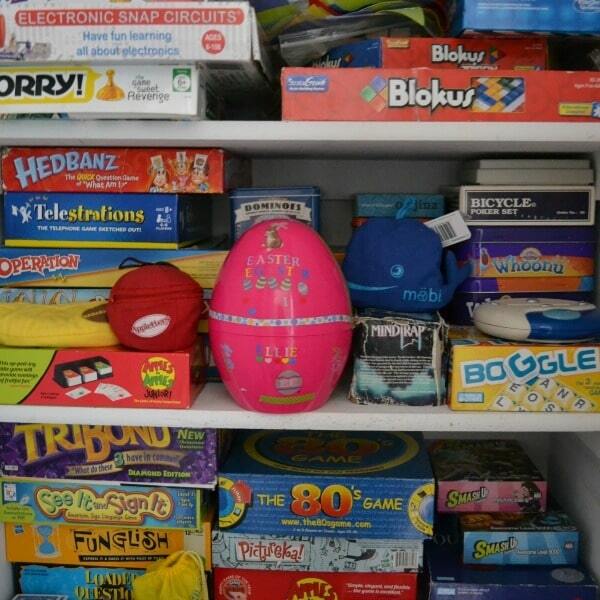 The egg is quite large, so hiding it inconspicuously can be a challenge. If you have older kids who don’t believe in EB anymore, they make great hiding assistants! And THEN, she read the book. 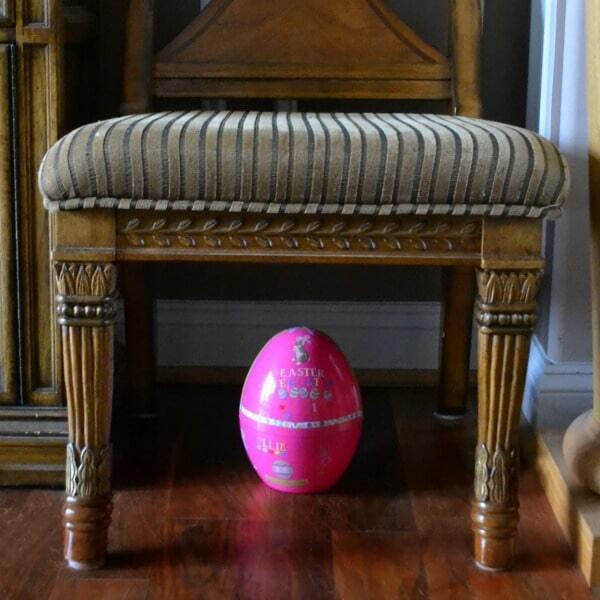 You might have noticed that Ellie’s egg got decorated. I was an avid scrapbooker back in the day before digital photography so I have thousands of stickers and look for every opportunity to use them. I armed my daughter with several dozen and let her go to work. She had so much fun decorating it (and the stickers adhere really well to the egg) that I highly recommend you incorporate the decorating into your tradition. One final note, though we chose the bunny, Easter Eggsters actually offers three other helpers. In addition to the bunny, you can choose a skunk, raccoon, or squirrel. Each one comes in a different colored egg. Clearly, the Bunny with the Basket and Easter Eggsters have a lot in common. 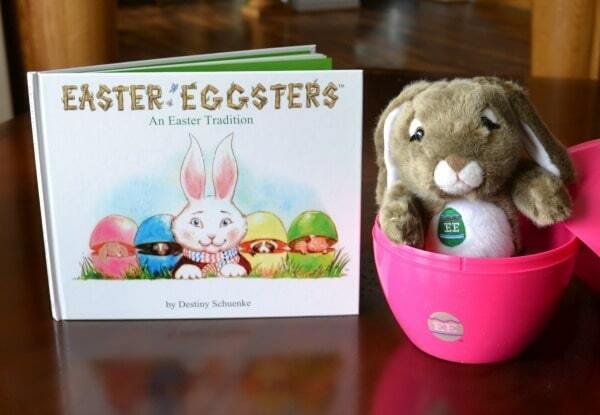 They both come with a book, an Easter Bunny helper, and an egg. The idea for both is similar in that the Easter Bunny helper reports back to the Easter Bunny about the child’s behavior. Despite their similarities, these two traditions also differ in some ways, and those differences will help you decide which one is right for your family. 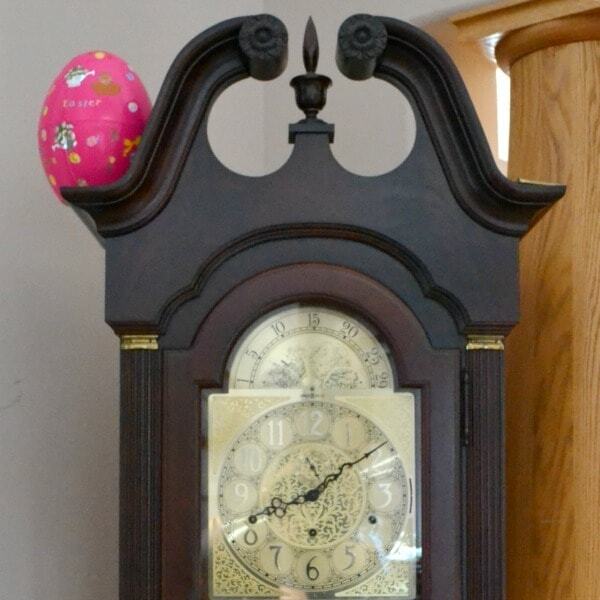 Because the Easter Eggster is much larger than the golden egg (and thus, harder to hide), it’s a great choice if you have very young children (ages 2-4). Since the Bunny with the Basket‘s golden egg is quite small, older children will enjoy the greater difficulty of finding it. 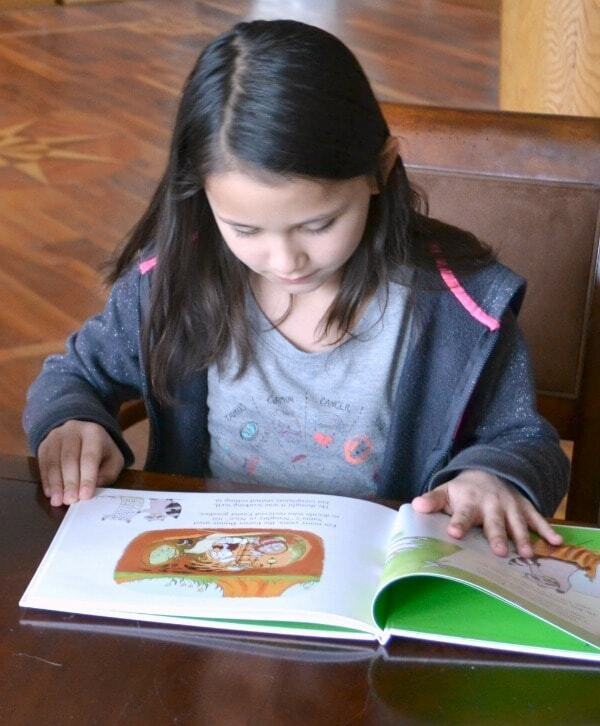 Also, since a key facet of the Bunny with the Basket tradition involves reading and writing notes to and from the Easter Bunny, it’s best suited to children old enough to read and write (though mom and dad can certainly help younger children). Another difference to consider is that the Bunny with the Basket stays in one place. 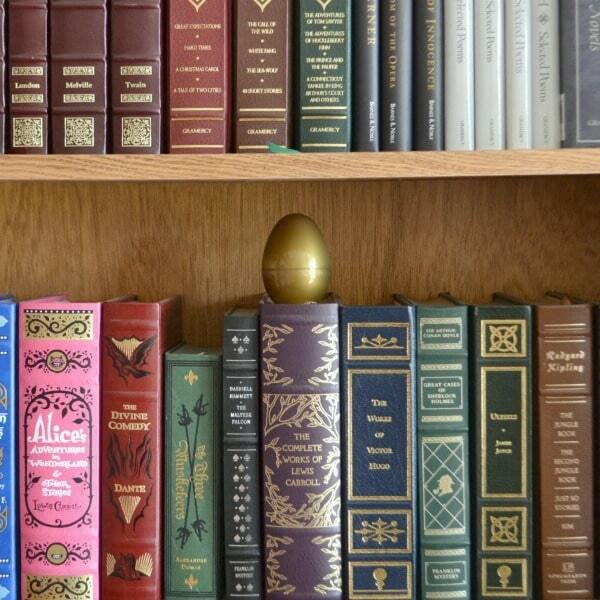 Only the golden egg is hidden. In contrast, the entire Easter Eggster (with helper inside) is moved each night. If, like in my home, you have a pet who likes to run off with stuffed animals and use them as a chew toy, you might prefer the Bunny with the Basket who can stay safely out of reach for the 12 days leading up to Easter. Either way, you can’t go wrong. Both of these family traditions for Easter make the days leading up to Easter special and fun. Another of my family’s favorite traditions is to “Egg” another family. Don’t worry, we don’t use real eggs! If you’re not familiar with the “You’ve Been Egged” tradition, you might find that this will be a new favorite in your family too. You might also be interested in this list of traditional and non-traditional family Easter traditions.